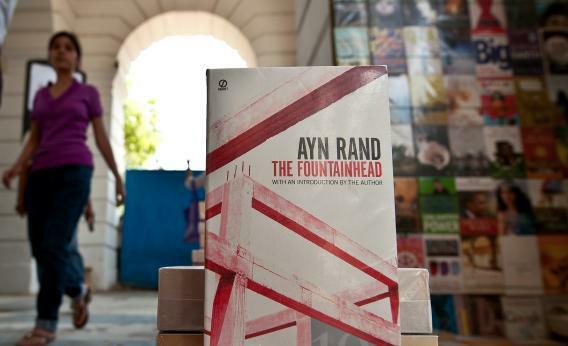 The Fountainhead, by Ayn Rand – the high priestess of free-market capitalism and unfettered individualism. Jane Mayer beat everybody to the punch this weekend with a taut explainer of Paul Ryan’s once-loud, now-denied admiration for Ayn Rand. Recently, she wrote, “Ryan distanced himself from Rand, whose atheism is something of a philosophical wedge issue on the right, dividing religious conservatives from free-market libertarians.” And that has been a strange spectacle. Who denies all of a writer’s works because some of those works are girded by atheism? Up to 2011 or so, Ryan never had a problem with this. Now, he can no more denounce Rand than he can denounce his own white grandmother. Still, now that Ryan claims he’s more of a Thomas Aquinas guy than a Randian, it pays to understand what he took from the late Russian-American objectivist. The Rosetta Stone of Ryan-Randianism is his 2005 speech to the Rand revivalist Atlas Society, made when Ryan was in his fourth term and his Republicans were clearly losing their grip on power. He makes a few references that only compute if you’ve read Atlas Shrugged. I always go back to, you know, Francisco d’Anconia’s speech, at Bill Taggart’s wedding, on money when I think about monetary policy. Then I go to the 64-page John Galt speech, you know, on the radio at the end, and go back to a lot of other things that she did, to try and make sure that I can check my premises. Now, take all of that and apply it to our current debates about the Federal Reserve. Since the Nixon years, the dollar has been de-linked from the price of gold. The Federal Reserve can print money and use it to buy up government bonds – which it has recently, in several rounds of Quantitative Easing. It does this because Congress gave the Fed a dual mandate to fight inflation and to reduce unemployment. Creating “free” money helps with that latter goal. I hope it doesn’t surprise you that Ryan, since at least 2008, has wanted the Fed to abandon the employment madate. He doesn’t say this in a stupid way, like Rick Perry. He says it by citing Ayn Rand.